My op-ed piece, written in my capacity as Chair of PEN New England, appeared in this Wednesday’s Boston Globe. I reprint it here, but I have also added a link at the bottom directing you to PEN American Center’s case file on this persecuted writer, with directions for expressing your outrage to the Chinese authorities. IMAGINE YOU are a popular, award-winning author whose poems and stories are widely-read, anthologized, and taught to schoolchildren. You have written a short story about a young pigeon, the son of a king, who is captured by humans and caged, and who by story’s end finds captivity so intolerable that he chooses to eat a poison strawberry rather than live such a life. 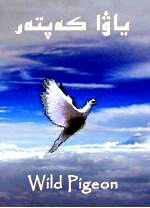 You call the story “The Wild Pigeon.’’ It is published to acclaim. This is no fable, Kafka-esque though it is. This is the story of Nurmuhemmet Yasin, a 34-year-old Uighur writer in northwestern China who was arrested in 2004. He is the recipient of this year’s Vasyl Stus Freedom to Write Award from PEN New England. Until recently, many had never heard of the Uighurs, a Turkish people who live in an area of northwest China known to the Chinese as Xinjiang Province, an area formerly called East Turkistan. Seeking to exploit the region’s rich resources, Beijing has been increasing pressure on the region’s citizens to conform, resettling the province with ethnic Han Chinese in much the same way it has sought to undermine the autonomy of its neighbor to the south, Tibet. But whether or not we understand or even care about the situation of the Uighur minority in China, we should all concern ourselves with the plight of Yasin. Those who love stories and poems and plays and essays, who understand they are vital to all human cultures, must rise in defense of any author anywhere whose government violates the basic right of freedom of expression. Yasin is one of more than three dozen writers held in prison by the Chinese authorities, according to PEN American Center. In addition, poets, playwrights, and novelists are imprisoned in Turkey, Tunisia, Saudi Arabia, Vietnam, Algeria, Cuba, Myanmar, and Iran for the crime of writing about how the world appears to them. In a world in which our destinies are intertwined, in which we need more desperately than ever to know one another, such censorship hurts us all. Readers and writers worldwide need to tell Chinese authorities that we have not forgotten Nurmuhemmet Yasin, that we are all watching. Richard Hoffman is the chairman of PEN New England. To take action on behalf of Nurmuhemmet Yasin, and on behalf of freedom-of-expression for writers everywhere, click here.